The other 11 countries represented at “Brave 17” are Afghanistan, Bahrain, Brazil, China, France, Ireland, Kuwait, New Zealand, the Philippines, South Africa and Wales. The only fighter to represent Afghanistan in the upcoming MMA event in Lahore is Mohammad Wasim. 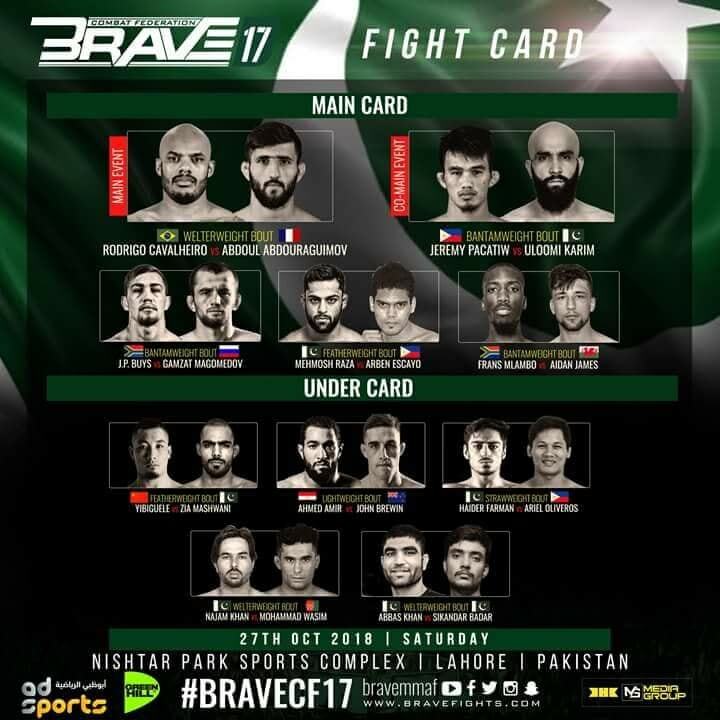 “Brave 17” marks Wasim’s professional MMA debut and Brave CF debut. He will compete in the welterweight division against Najam Khan of Pakistan, who is also making his professional MMA debut and promotional debut. Brave CF has yet to release details about Wasim and Khan. Their welterweight bout at “Brave 17” will be the second bout of the evening.